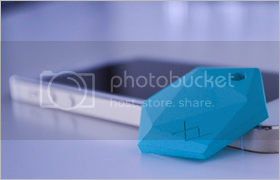 XY is a Bluetooth LE powered tracking tag that you can attach on anything important, and it syncs with your smartphone so you can easily keep track of all your tags. After you’ve attached your tracking tag to whatever it is you want to track, the companion XY app will listen to nearby Bluetooth LE signals. When the app finds a new tag, yours or any other, it checks with the XY server see if you have permission to view the tag information, and if you don’t it will not show up on your list. The app itself essentially has three modes, finding items, keeping items close and if you’ve lost an item. Activating the find-it mode, you can track any tag that is within range of your phone. The on-screen indicator will show you getting closer to the tag. If the item is not within range, the app will indicate where it was seen last. The range of the tags is approximately 150 feet. You can activate keep-it mode if there is an item that you want to keep near you, like your keys for example, and your phone will alert you if you move out of range of the tag. Finally if you have lost an item you can mark it lost right from the app. Once it has been set as lost, XY will alert other users if they come across the item. XY utilizes a rotating cipher to keep the information about your tag secure and only people who will be able see your tags are the ones that you have given permission. The tag itself uses Bluetooth LE technology, and is compatible with iOS7 devices, as well as Android devices that are equipped with Android version 4.3 and above. The Kickstarter campaign has officially ended but you can follow along with updates on their Kickstarter page. You can also Pre-order off the XY website. Take a look at the Kickstarter campaign video below.